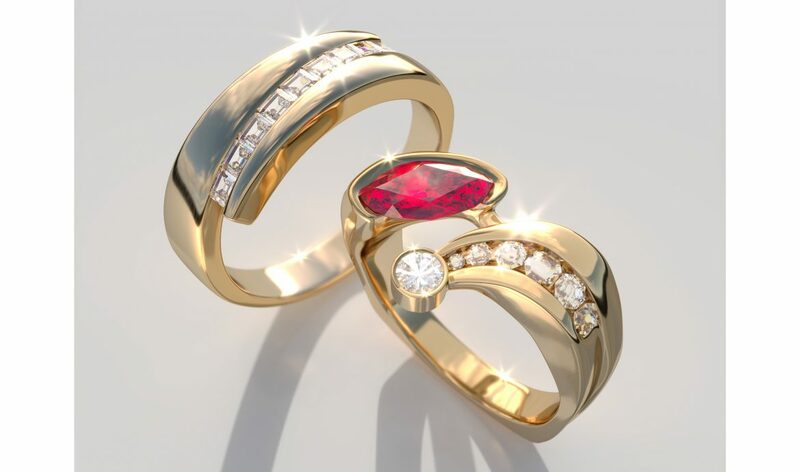 After doing a simple rendering of a shiny piece of metal for a friend, I was inspired to try my hand at rendering some jewelry. 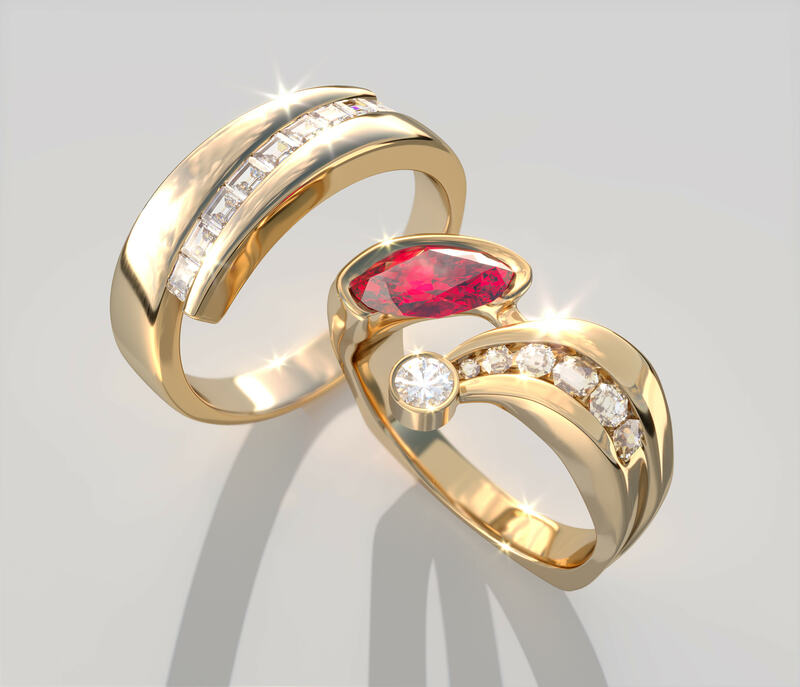 For my first test, I decided to see what kind of results I could get modeling and rendering our wedding bands, designed by her school chum, the brilliant Scott Knutson. I did the modelling with Cinema4D and chose Corona Render because it does such a nice job with shiny objects. Here’s a maximum bling version.